After a lot of searching the internet, asking friends for advice etc… I’ve finally picked up my shiny new phone. It’s a HTC desire on the Orange phone network. 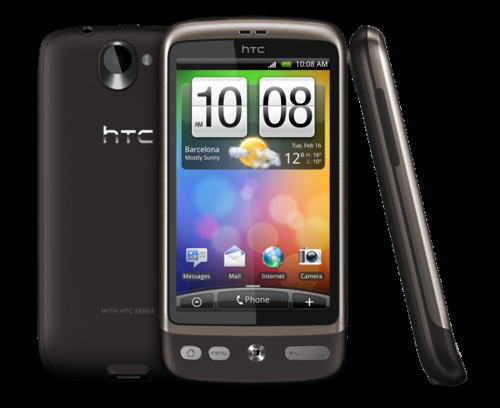 I’m not going to repeat the sales pitch, if your really interested check out the HTC Website. The phone is really cool, i’ve finally figured out how to work it with my stubby fingers. I’ve downloaded tons of apps which allow me to update all the social networking sites, the Tokyo subway maps, the wordpress app to update this blog, my email…. obviously and some really cool games like sudoku and more importantly – it’s in sync with my google calendar which means that i can remember where we happen to be teaching each day. This entry was posted on July 16, 2010 by hartlepoolwadokai. It was filed under SmartPhone, Uncategorized and was tagged with SmartPhone. if you have handy dandy web access, you can also upload vids to youtube on the fly from your mobile- makes making vidblogs massively easy/lazy! I’ve heard HTC’s have decent cam’s (unlike t’intern phone, which is nice and ‘basic’) so I would love to see some cool footage on the blog! i tried just that earlier on actually… and it onbviously hasn’t worked as yet. This fancy phone may be a bit too clever for me!